Book a cheap car rental Northern Ireland deal here at carhirecomparison.ie. Northern Ireland is Steeped in history. Stormount is going to be a highlight for those who adore politics, history and stunning architecture. It tells a fascinating story, the most fascinating the being the story that throughout the second world war it was camouflaged with paint made of bitumen and cow manure. Although its removal never permitted the building to gain back its dominant white setting, it still remains a remarkable instance of Ireland’s best architecture. Belfast, Downpatrick, Derry and Armagh should ideally be your first stops for a trip to this lovely country. Belfast, the capital city is a very peaceful town today which is very much the opposite of what was happening in this town within the past. 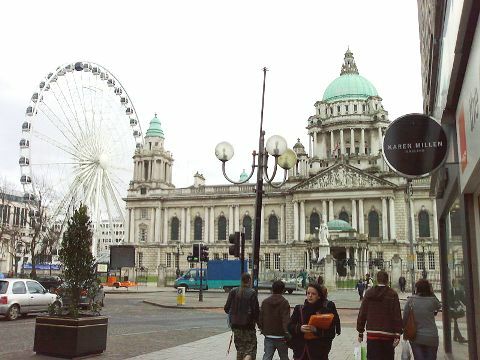 Being the political epicenter of Northern Ireland, Belfast has had its share of troubles, all of which seem non-existent today and what you’ve in Belfast these days is an assortment of restaurants, cafes, pubs and other locations of interests. Twenty three miles down south of Belfast, you should visit Downpatrick. This place is among the most well preserved historical sites in this part of the world. In Downpatrick, don’t miss visiting the Hill of Down which is a location famous for St. Patrick’s arrival. Armagh is often referred to as Irish Rome and is an absolute mix of cathedrals, museums and a planetarium. Armagh’s background is rich and importantly, it’s regarded to be the seat of the Protestant Church of the Archbishop of Armagh. Northern Ireland was the original home to the famous Titanic, and evidence of its past presence here shines in several heritage landmarks throughout the country. Popular Titanic themed destinations to visit consist of the H&W drawing offices, SS Nomadic and Hamilton Dock, Titanic’s Dock and Pump-House. Gain a deeper understanding of the time, energy and money that went into constructing the most famous ship of all time and be sure to take lots of photos along the way. If you want to explore all the country has to offer you, choosing the time to go to may count for a lot! Though, the weather throughout July and August is considered to be most conducive for tourism, this is the time when hotel rates could be sky high. You could plan your holiday in Northern Ireland within the months of June and September, as throughout these months the weather is comfortable and the rates too are not that expensive. 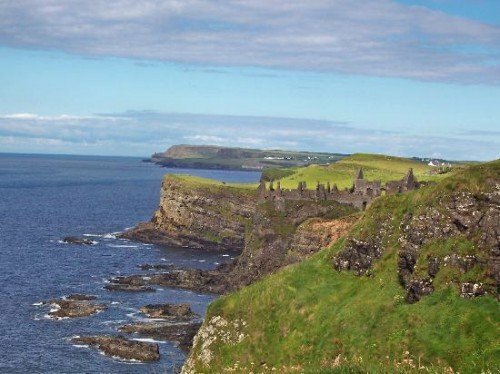 The Giant’s Causeway, County Fermanagh and Cave Hill Country Park offer you the diversity that you so much come to Ireland for. County Fermanagh is known for its lakes and rivers. The home of the River Newry, which runs via the centre of the town, Newry is a lovely Irish city that boasts old charms and pleasant levels of modernity. This port and industrial town is nestled at the front of the Mourne Mountains and the Camlough Mountains and boasts some gorgeous neo-Gothic cathedrals and historic sites.